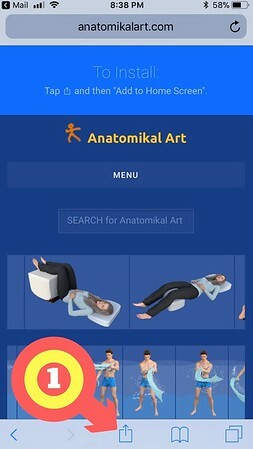 You can install the Anatomikal Art web app for easy access on your phone using these steps. Ready? 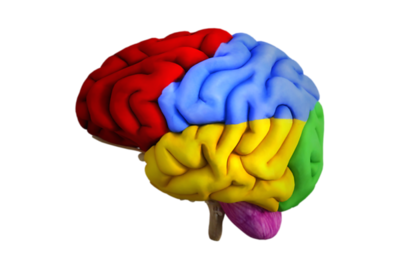 Clicking on the brain starts the process. Step 1. Tap the Share button to install. Step 2. 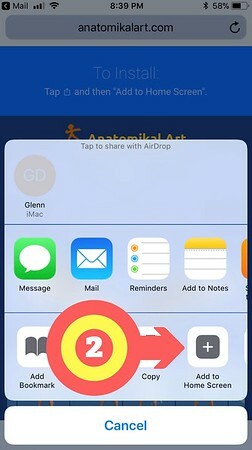 Click on "Add to Home Screen." Step 3. 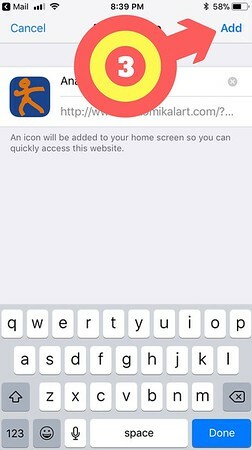 Click "Add" and a new app icon will save to your mobile device's screen. Got it? 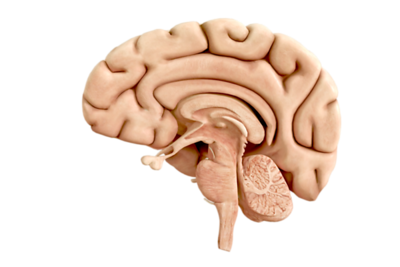 Remember to click on the brain to start.